Could it be the 'Dead Space' style game from Creative Assembly? While 'Aliens: Colonial Marines' is well known for under delivering on almost all of its promises as well as sinking one developer involved in the project, the 'Alien' property remains an active part of a history of game projects. In 2009, Obsidian was working an 'Aliens' RPG that was ultimately cancelled well before release despite positive interest from fans. 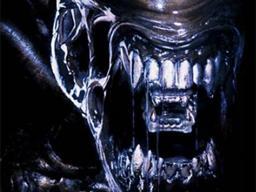 The new 'Alien: Isolation' trademark covers video games, mobile software, and decorative magnets. And while 'Alien: Isolation' decorative magnets could develop into a cottage industry of decorative magnets for popular projects that can't get one decent movie sequel, odds are that the Alien game under development at Creative Assembly for Sega is a strong possibility for the name. When the Creative Assembly game became public knowledge back in 2011, Sega mentioned wanting the game to be "a peer to the likes of Dead Space 2." Those 'Dead Space' desries may have changed, but for now the project remains obscured behind the 'Aliens: Colonial Marines' failure.